Creative strategy is critical to your business – it’s essentially an intentional and strategic approach to develop and implement steps that will ensure and support your business’ growth. Our Sublime 2017 New Year’s card is focused on sparking your creativity. We encourage you to think about creative problem solving within your business whether it’s refinement, reinventing, or experimenting. 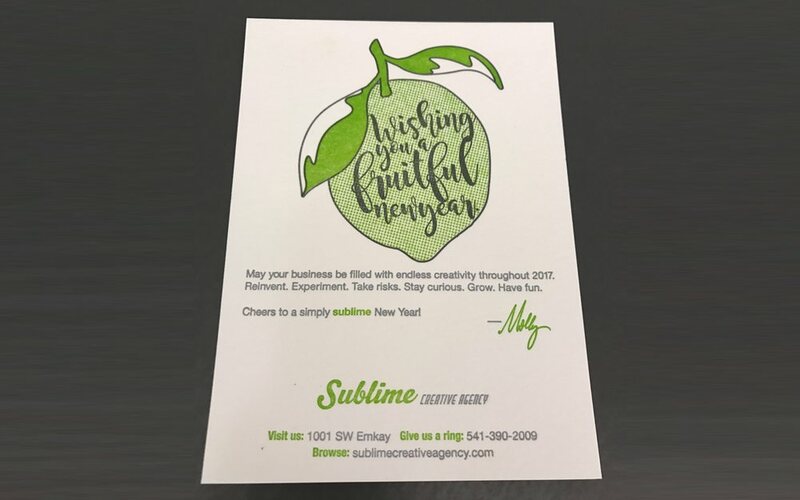 At Sublime, the essence of our strategic client work is deep rooted in finding innovative ways to solve problems in today’s fast-paced workplace and creating marketing efficiencies in an organization. Cheers to endless creativity – have a Sublime 2017!